We arrived in Amsterdam to a cold wet afternoon, just like the one we’d left in Copenhagen. C’mon Europe this is supposed to be our SUMMER holiday! We also arrived to find no fridge where we were staying which would obviously limit what we could do in bottle review form. With this in mind we visited the supermarket down the road and bought two beers and intended to do something similar each time we went back to the room. It didn’t quite pan out that way as we found a couple of good craft beer venues and decided it would be easiest to try the beers there. With this in mind only 5 beers made it back to the room and some of those were probably ill-advised. Much like Carlsberg in Denmark, Heineken is a world renowned brand, arguably the best known brewery in the world. The iconic Heineken green is splashed everywhere in Amsterdam and as the brewery promises the beer tastes pretty much exactly the same on tap in Amsterdam as it does in Melbourne. A very refreshing lager, if a tad sweet for some. There are a few things that are almost essential on any trip to Amsterdam. One of which is visiting the Heineken Brewery. Located no more than 2km’s from the city centre and with beers included in the price of your ticket it’s a must and gives a fascinating insight into one of the world’s biggest breweries! Heineken produce more than just the pilsner we all know of. 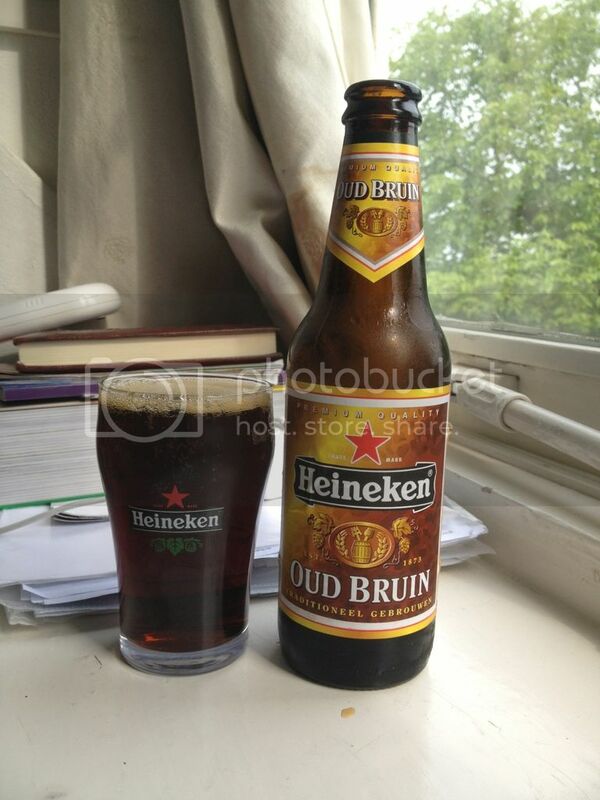 Heineken Oud Bruin made it back to our room and I’m really sorry that it did. This is one of the worst beers I can remember having! At 2.5% it’s far too sweet and almost leaves you feeling sick from this odd caramel taste. It’s definitely one to avoid. In the Netherlands there is plenty of competition for Heineken in the macro lager field. 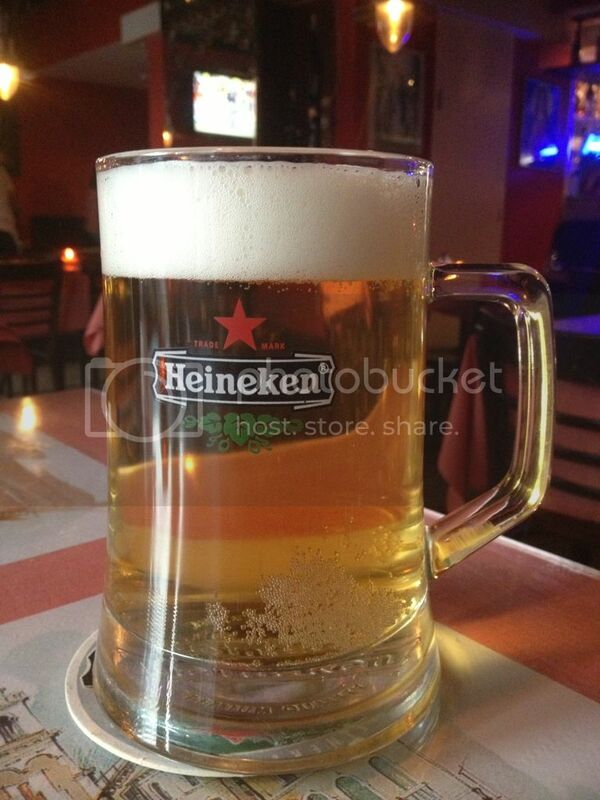 Both Grolsch and Amstel are readily available, but you can see why Heineken is the number one. 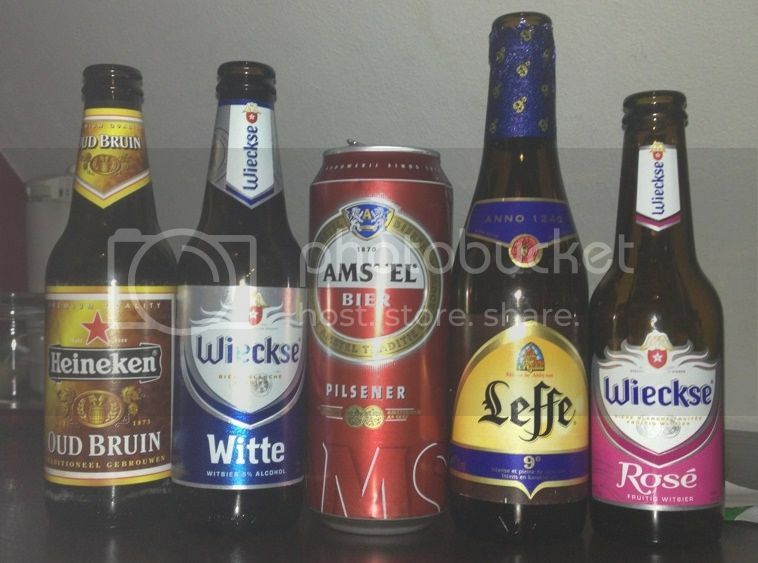 Amstel is one of the worst lagers I’ve had in a long time, and if you check out the macro lager section of the blog you’ll see I’ve had some bad ones! After dinner one night we decided to pop into Arendsnest, a bar in Amsterdam which serves only Dutch micro (ish) beers. In general I found the Dutch beers to be lacking in real flavour, except for the Maximus Stout 8 which I thought was exceptional! I also thought the bar staff were less than helpful and not through a lack of understanding, just general disinterest. In stark comparison the next afternoon we walked past BeerTemple, an American craft beer bar owned by the same guy as Arendsnest. The girl behind the bar really knew her stuff and what was initially going to be a one or two beer stop turned into a 4 hour session! 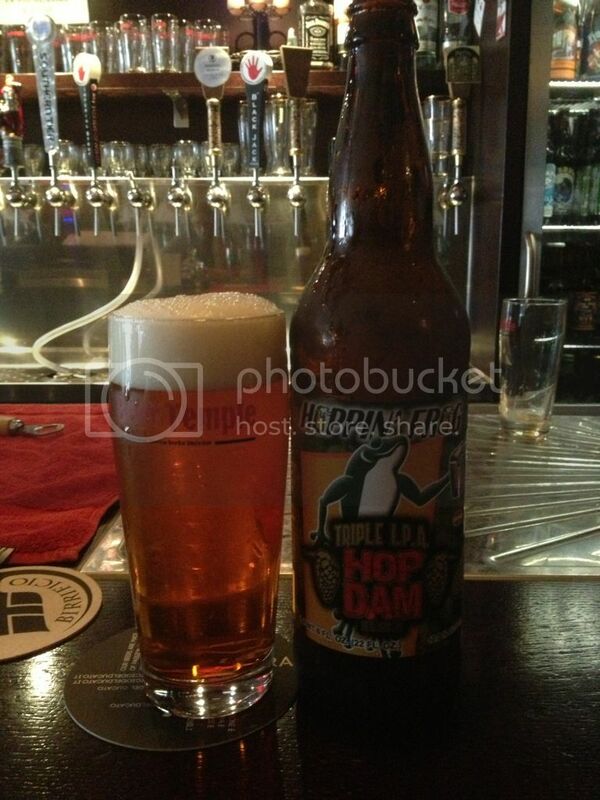 Highlights included BrewDog’s Dead Pony Club and Hoppin’ Frog’s Hop Dam, but really everything I had was excellent! Both Wieckse beers were nicely constructed beers. 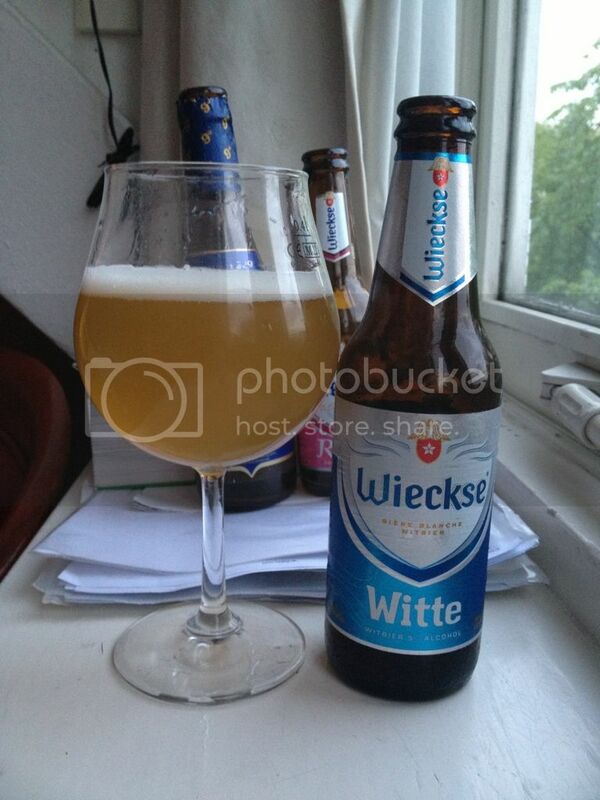 Wieckse Witte was the best macro produced beer I tried in the Netherlands. Wieckse Rose is actually a really nice fruit beer that Lizzie and I both enjoyed. It had enough sweetness for Lizzie to like it, while there was just enough bitterness for me. If you are into fruit beers, this is one I would try. I bought the Leffe to represent the huge number of Belgian beers available in Amsterdam. Almost every bar/restaurant you go into in Amsterdam has more Belgian beers than Dutch beers and look who could blame them! Leffe 9 is the best Leffe I have ever had, it was a simply stunning Belgian Pale Ale and you could hardly tell it had 9% ABV! Buy this beer if you see it! In summing up Dutch beer, it’s just not very good. All the beers are drinkable but they just don’t have an edge that sets them apart. They all seem like they are copying an American beer but haven’t quite reached the height they were aiming for. Heineken is a drinkable lager, Wieckse Witte isn’t awful but otherwise stick to the Belgian beers that seem to dominant restaurants and bars in Amsterdam.